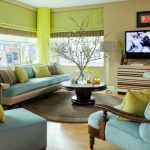 Choosing the right color schemes will make your living room more enjoyable. 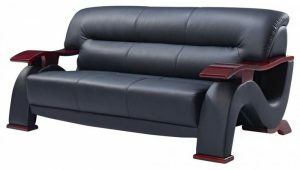 You should decide the living room style and what kind of furniture you like to have. 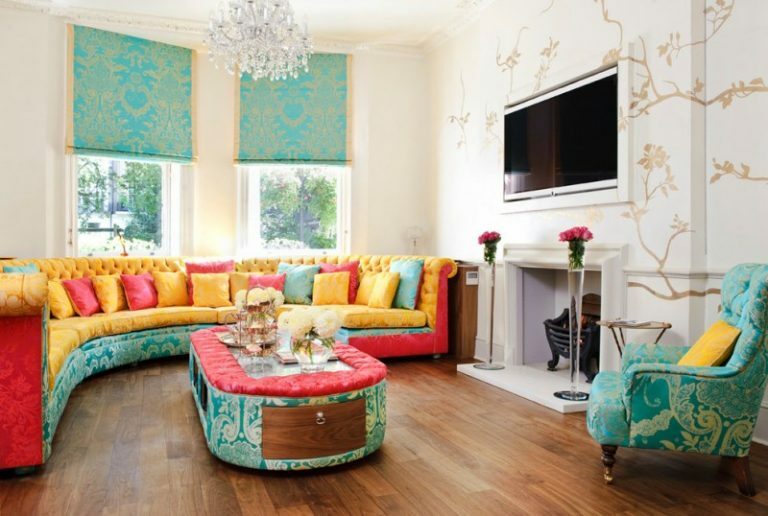 Then, you can decide the colors scheme that is suitable for the living room. 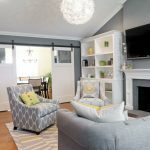 A neutral color scheme such as gray or white is very popular because you do not need to worry about the miss combination of colors. 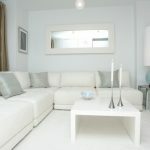 But, if you want to make a fun and creative living room, you can have two or more color schemes. 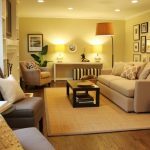 Here are some living room color schemes ideas that can be your references to make a wonderful living room. 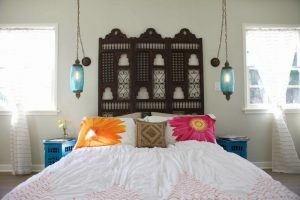 You will absolutely love the color scheme of this room. 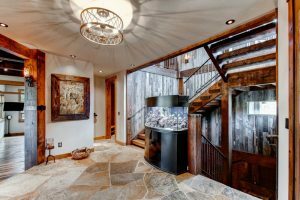 It looks so beautiful with the neutral color scheme with subtle yellow accents. 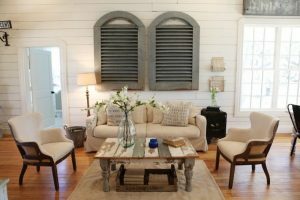 The white barn door can be an alternative unique door for a living room. 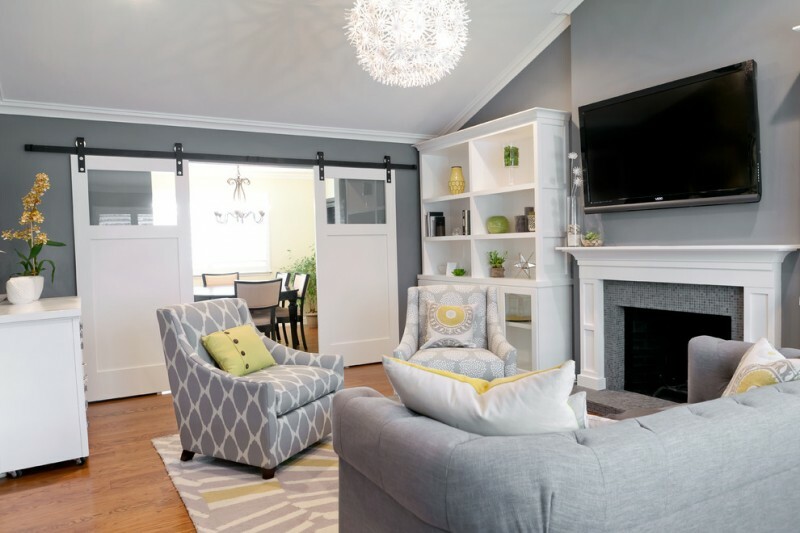 This living room features neutral color scheme, Crate and Barrel lounge sofa, metal gray color bound sisal rug, cocktail table, gray modern chairs, and an ottoman. 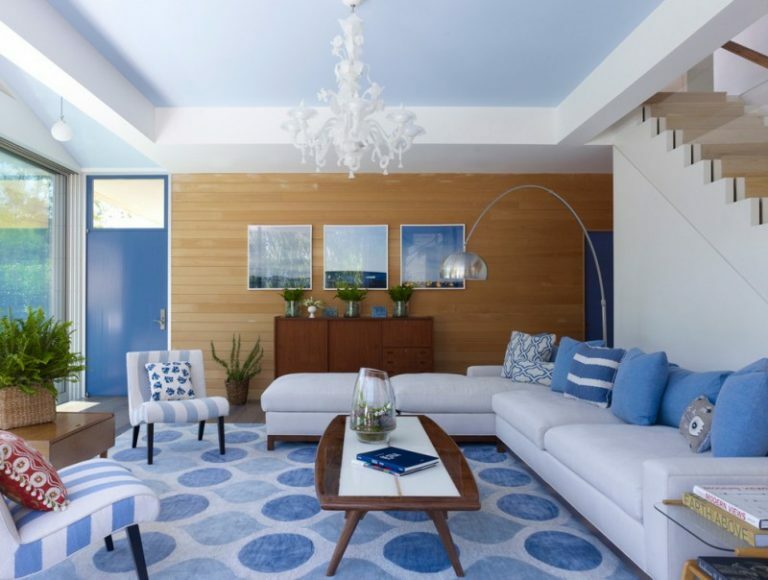 The bright sky is the inspiration of this blue and white living room. 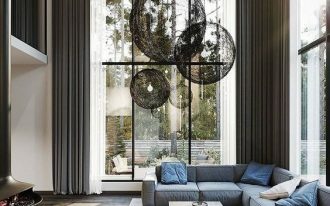 The white beautiful chandelier is a nice light fixture for this living room. These deeply saturated charcoal and orchid hues look so great with the white touch. You can place an Eames elliptical cocktail table to complete the purple and dark gray furniture. 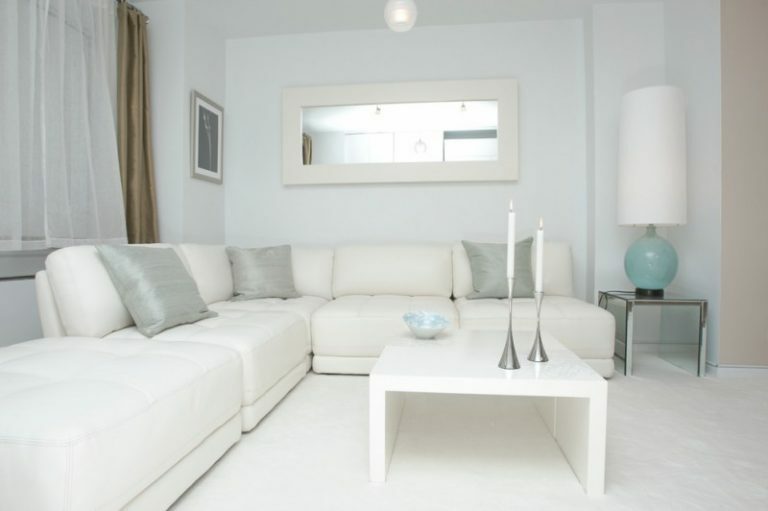 Looking pure and clean is the purpose of using white color scheme for the living room. The sectional sofa and a horizontal mirror help expand the space clean look with subtle color accents. Soft colors scheme makes a classic feeling in this living room. The masonry fireplace, the table, and the window valances emphasize the classic style in this living room. 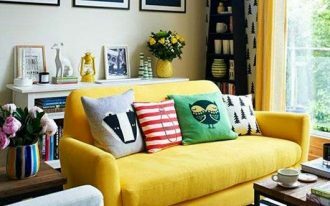 The living room is a monochromatic color scheme of yellows. 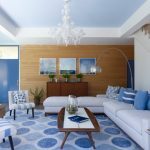 The color scheme brings a relaxing and cool feeling to the living room. 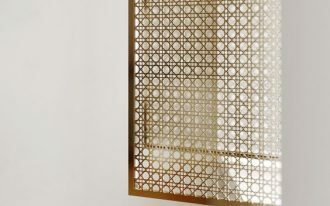 The vintage burst mirror and other wall decorations beautify the light yellow wall very nice. 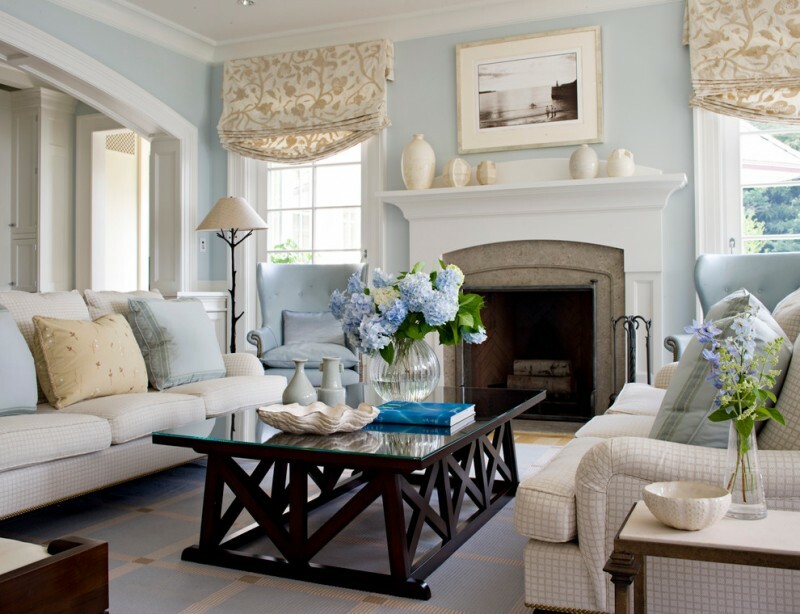 You can get the pleasant and inviting feel with the nature lime green and light blue color scheme in this room. The colors seem to go well together. 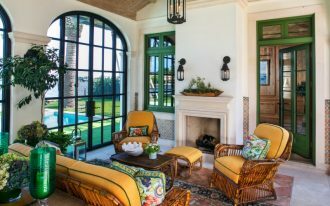 The wide windows with colorful stripe valances in the corner of this living room give a beautiful outside view. 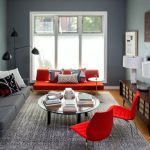 This small living room has gray and red colors scheme. 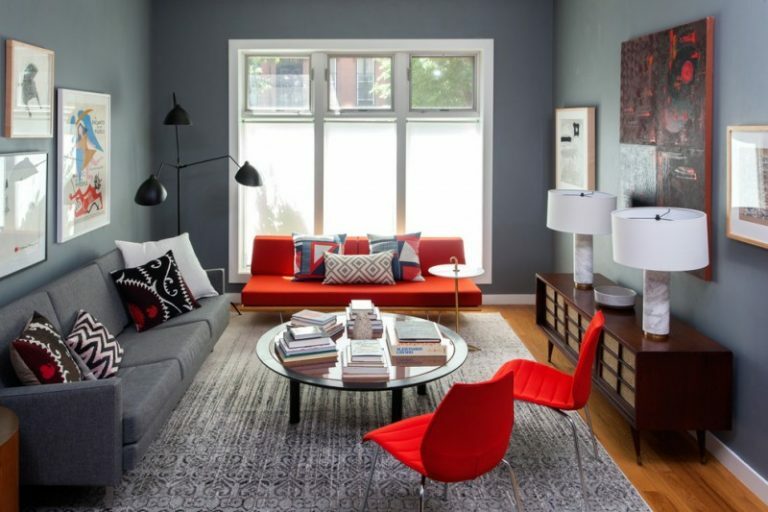 The good arrangement of colors definitely makes a good living room although in the small space. A Serge Mouille three arm rotating floor lamp increases its retro look. This colorful living room portrays a triadic scheme with geometric and closed forms. 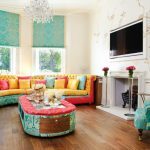 The three colors yellow, cyan, and magenta are used in this triadic color scheme as these three colors are placed well executed in the living room furniture and its window treatments.